People who know me know I love opera. I enjoy listening to it, watching it, singing it, writing about it and defending it. 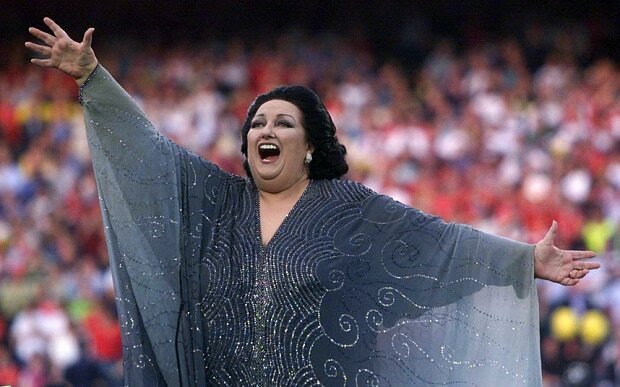 To the skeptics who question opera as a relevant art form, who write it off as pretentious and elitist, who balk at the idea of blasting an opera recording on the car stereo instead of Coldplay or Beyoncé, I urge them to spend a quiet evening at home and listen to a few arias by Montserrat Caballé, one of the most enduring and admired bel canto sopranos in the 20th Century. The Spanish native has earned a place in my heart as my favorite soprano of all time. A good place to start is her Decca recording of “Signore, mi ascolta!” from Puccini’s Turandot and her EMI recording of “Era Piu Calmo?” – better known as the Willow Song – from Verdi’s Otello. Caballé’s voice is a gift from God. Her superb breathing technique and abdominal control allow her to melt hearts with her signature pianissimo and glissando, and to sustain some of the longest notes ever held in recording history, a factoid I picked up from reading her biography by Robert Pullen and Stephen Taylor. If these recordings do not change your opinion about opera, nothing will.